During the process of designing and testing the Safran pants, many test versions were made to work on the style and fit of the pants. Thanks to these versions sewn by our wonderful group of pattern testers, we have been able to improve the pattern and get to a result of which we are proud! Unfortunately, we can’t show you any of these versions, as the pattern has changed a lot in the meantime. 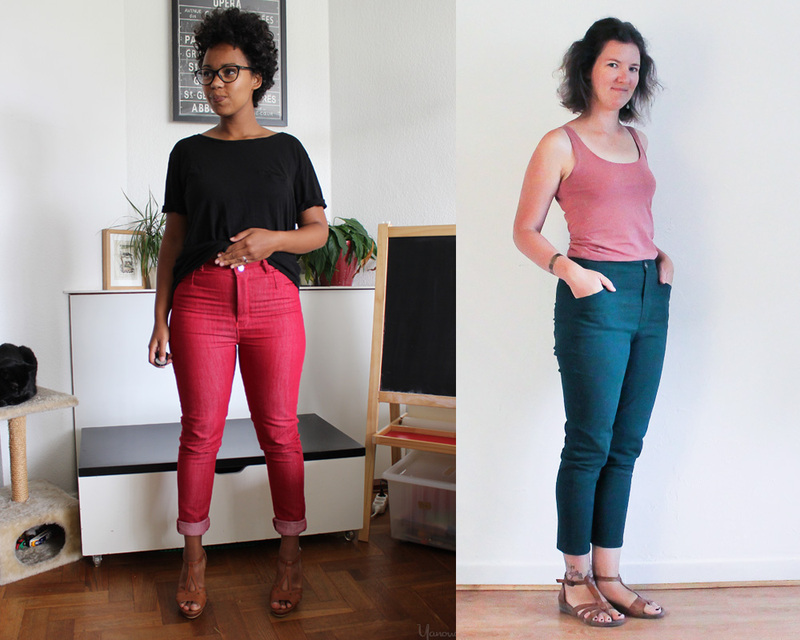 As we know that you enjoy seeing our patterns sewn up and worn in different ways when they are released, we have decided to do something new this time around, and we have partnered with a few of our favorite bloggers to have them try Safran after we finalized the pattern! 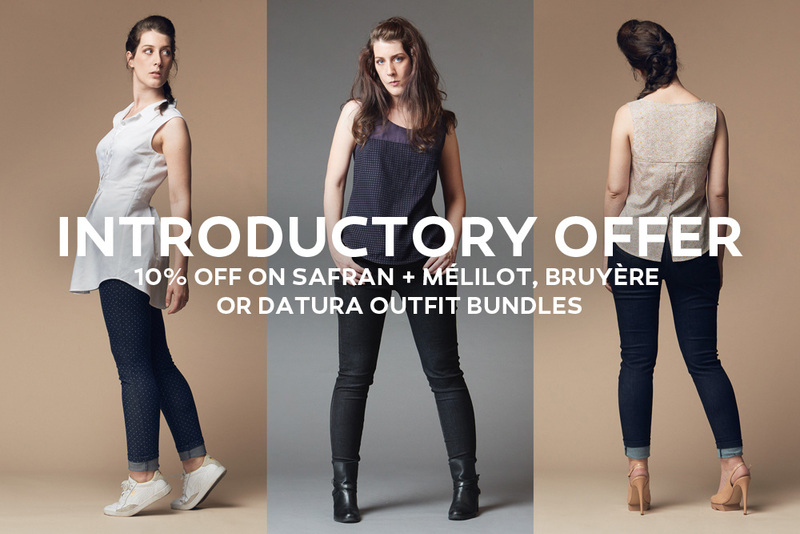 We are thrilled today to share their lovely versions of Safran! 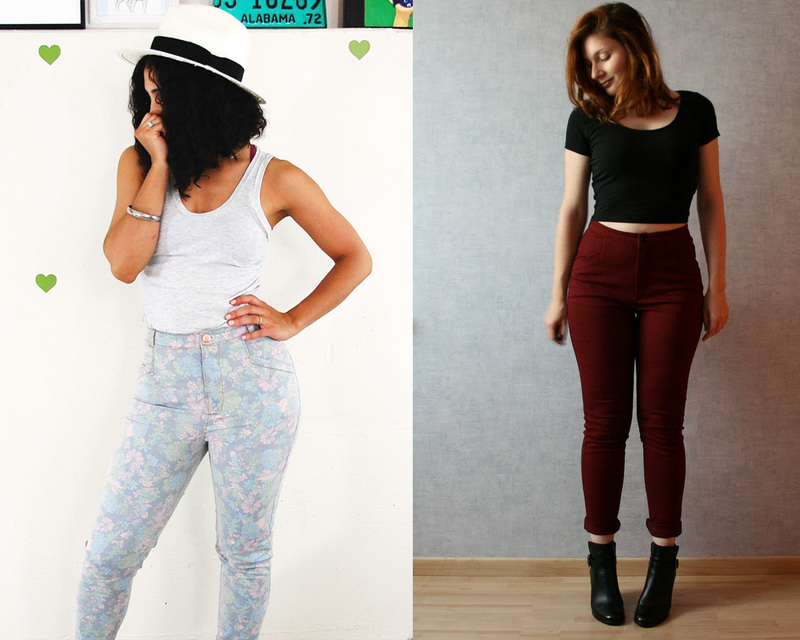 We are in love with the floral version made by Jasika Nicole (EN), and with the perfect way Marionne (FR) styled her burgundy Safran. 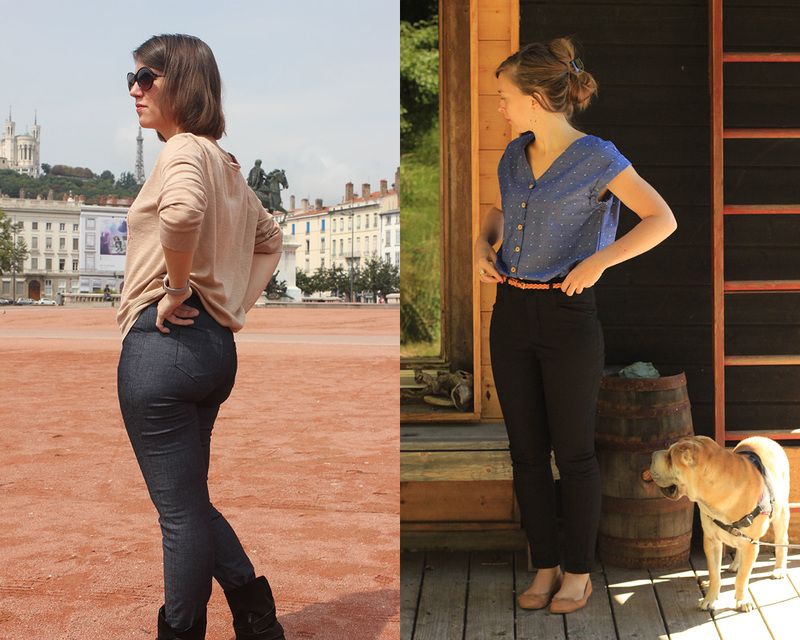 Lise Taylor (FR) and Je Vous Le Donne Emile (FR) are spot-on with their perfectly fitted versions. 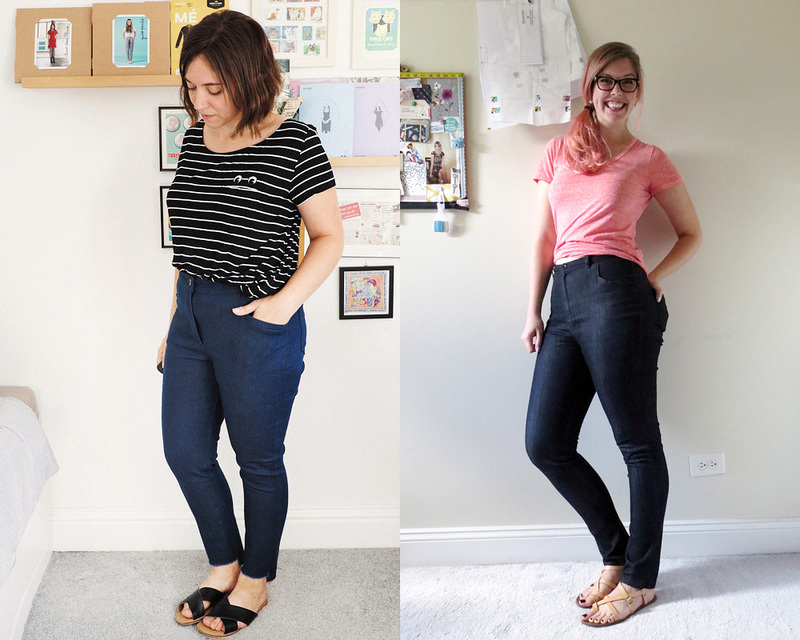 Denim two ways: modern with Le Fil à Coudre d’Anna (EN), and retro with By Gum, By Golly (EN). We love the trendy hem made by What Katie Sews (EN) using the two lengths of the pattern, and the infectious smile of The Quirky Peach (EN)! Finally, a very soft version from Le Coussin Du Singe (FR), who used a lovely denim in a subtle shade of baby blue. DISCLAIMER: The bloggers mentioned in this post did not participate in the testing process for Safran (during which pattern testers give us feedback that can lead to changes on the pattern), but have received the finished paper pattern in exchange for a blog post. The opinions they express on their own blogs (which we recommend visiting!) are their own, and we have encouraged honest and constructive criticism! What do you think of these versions? Let us know how you feel about pattern reviews too! 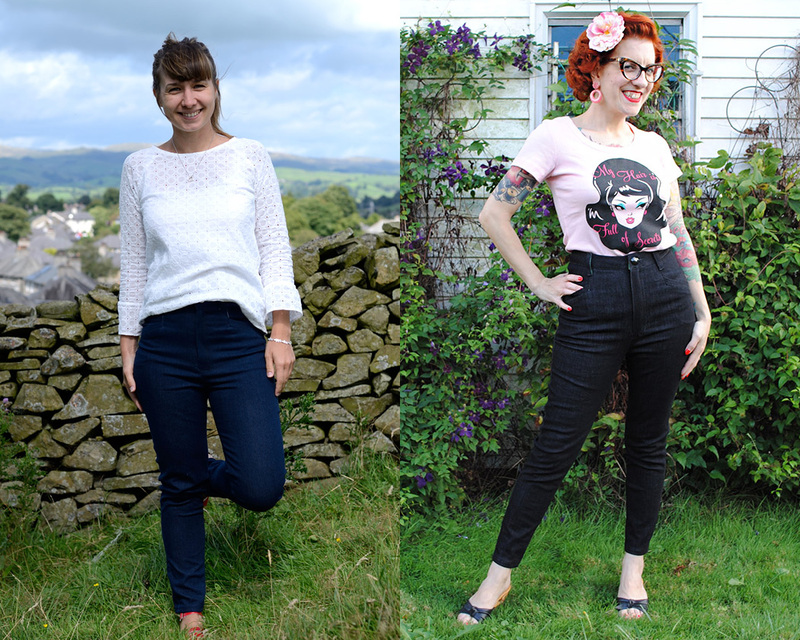 I like the pretty colour of Swing and Sew’s version – off to check her blog!